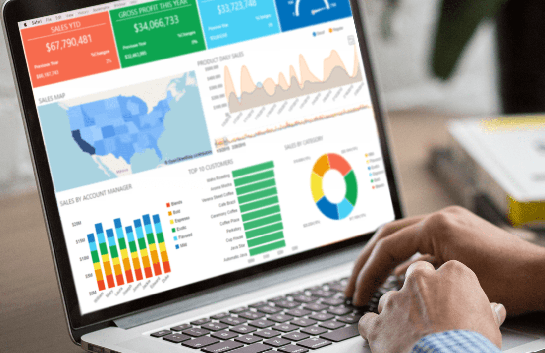 With easily embeddable dashboards, your customers will garner deeper data insights by visualizing key performance indicators and other report widgets. Flexible and customizable integration options allow you to embed JReport’s dashboards and reporting as a seamless part of your application. 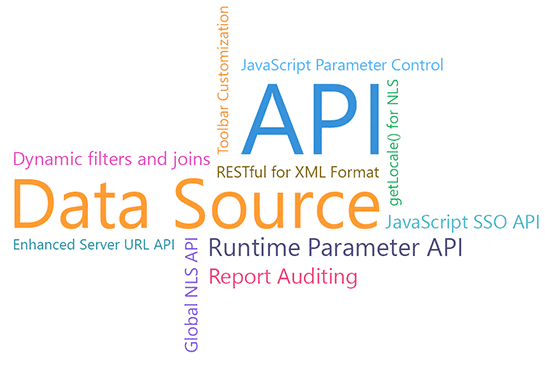 Developers can quickly build and embed dashboards, reports and visualizations into applications as part of a total solution for customers and users. 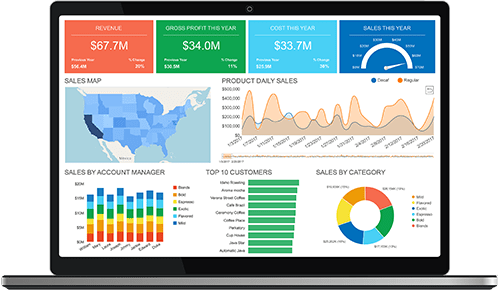 Customize and blend data visualizations seamlessly into your applications, giving users an integrated and consistent look and feel for an intuitive user experience. 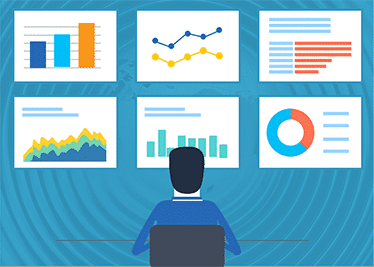 Visualize and analyze data using KPIs, charts, maps, crosstabs, tables, and more. Empower your users with filters, range select, drill downs, slice and dice to discover more. Empower your users to easily create ad hoc KPI widgets with trend charts and 1-click styling. 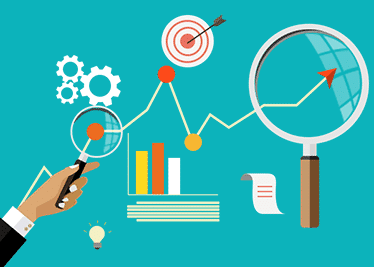 KPIs and animated visualizations can be quickly mashed up to form a dashboard. Creating highly informative dashboards has never been easier. 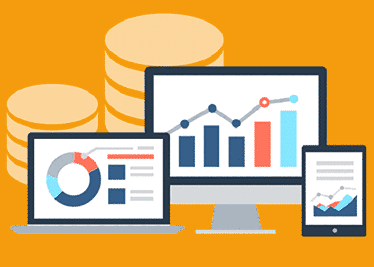 Extend the capabilities of your application by providing a diverse array of animated charts for sophisticated visual presentation of your data. In addition, a dashboard could include KPIs, controls, filters, widgets and report components for a highly interactive data visualizations. To fully leverage a dashboard’s power, data from different visualizations need to be consistent. If you drill down, filter, or sort on any component, you’ll want the action to be reflected in all related components. JReport lets you easily specify the synchronization settings across components with just a few clicks. With responsive JReport, your users on the go can work with dashboards, reports and charts on any device anywhere, from PC to mobile. Your visualization will automatically scale and fold as needed, without programming. Information presented will always be legible and the layout perfectly adapted to best utilize the display. Your application will be automatically optimized for tablets and smartphones.